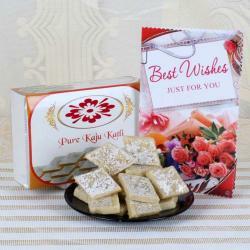 Product Consists : Mouth watering exotic sweet (Weight : 500 gms) along with Best Wishes Greeting card. 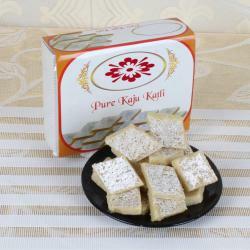 Kaju Katli is the most treasured Indian traditional sweet. 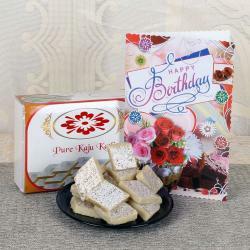 The finest quality cashews and desi ghee go into the creation along with expertise. 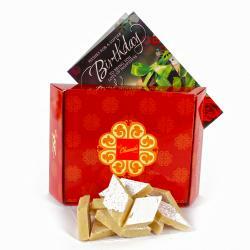 Perfect for celebrations, gifting and even having it just like that along with Kaju Sweet there is a Best Wishes card which Make the hamper Complete and give your near and dear ones Happpy this combo are the best way to express your emotions and show someone you truly care. 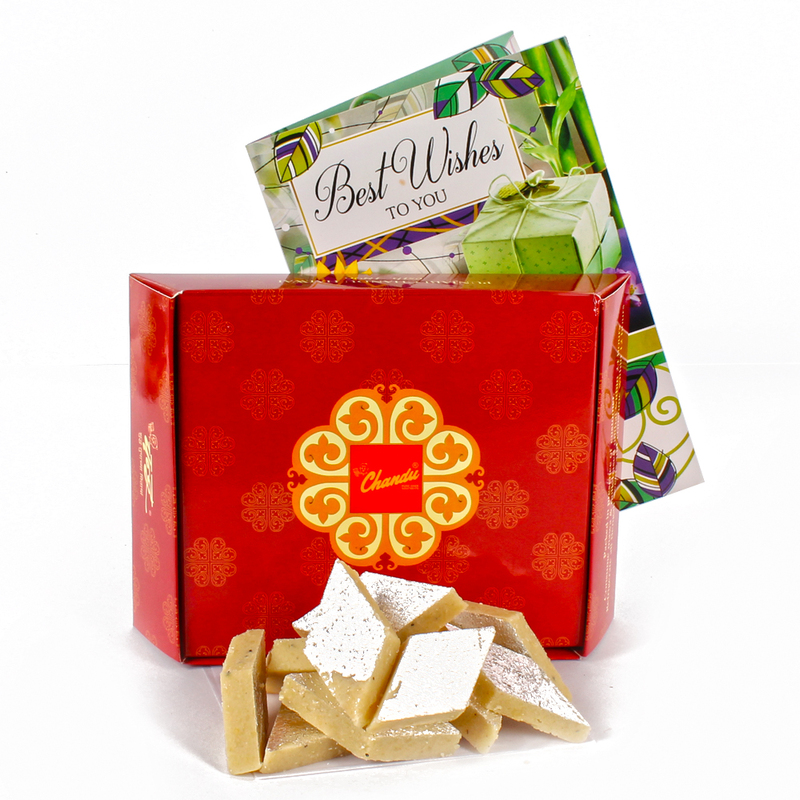 And lovely messages for your loved Once.Product Consists : Box of Chandu Halwai Mouth watering exotic sweet (Weight : 500 gms) along with Best Wishes Greeting card.